Lobina’s range of premium logistics services and expertise is comprehensive and extensive. We deal with everything, from getting express deliveries of any size, to anywhere – and provide an emergency logistics programme with global complexity. With road transport, Lobina’s commitment to customers includes managing an extensive in-house database of commercial vehicle locations and availability. This gives you access to an unrivalled pool of interconnected resources, plus assurances that we deploy them in the most time and cost-efficient ways, with a personalised service at every stage. 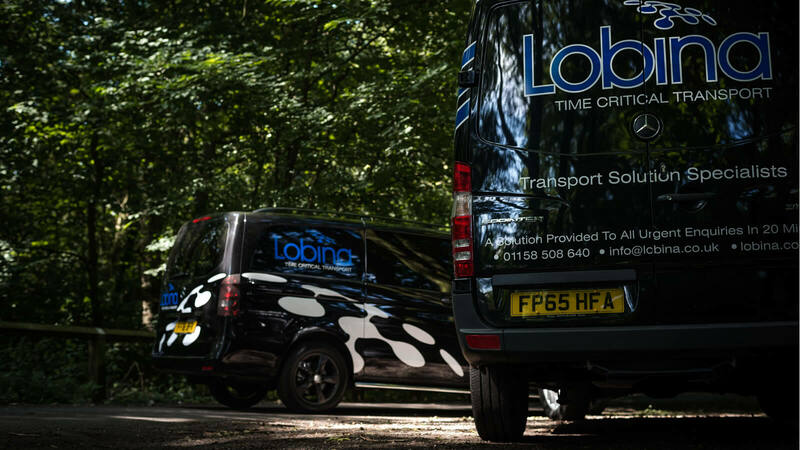 Lobina have never failed to meet a transport challenge – we’ll work around the clock to find a solution to even the most complex requirement. We’ll keep you fully up-to-the-minute on your cargo’s status, from booking to delivery. Once you book with us, you can relax – we deal with everything to ensure your items arrive safely and on time. Moving abnormal loads safely requires experience and skill, and we work only with the best suppliers and partners. Lobina offers a complete service for moving long, high, wide and heavy loads to wherever they’re needed. From courier vans to mega-trailers, Lobina’s road transport services are extensive and far-reaching. Our Europe-wide supplier network means we’ll meet your needs and deadlines. Lobina has a secure 24-hour access warehouse in Derby, UK, equipped with forklifts and cranes to handle all types of cargo, for trans-shipping or storage. The carriage of hazardous goods is a particular area of expertise for us. Our drivers are expertly trained, extensively qualified and highly experienced in transporting hazardous goods of all classes and UN numbers. Lobina’s groupage service is fully comprehensive and available throughout Europe. We’ve perfected our service over many years and developed a continent-wide reputation as an expert provider. A growing number of clients rely on Lobina to provide complete temperature assurance throughout our refrigerator fleet and through our trusted partners. Ours is a particularly high-quality service, with far-reaching same and next-day delivery networks. We specialise in finding the right response to complex, urgent and unusual transport requirements. If you have a logistic or transportation challenge, call us at any time of day or night, and we’ll find a way. Customer care is paramount, as it ensures better relationships, a superior reputation, and repeat business. This means ensuring all shipments run smoothly, and arrive intact and on time – and that you’re fully informed and confident in our service every step of the way. We keep you fully updated through each and every stage of transportation, from booking to delivery. When disasters hit, and humanitarian aid relief is required urgently, Lobina can step up fast to help get essential equipment and supplies exactly where they need to be, anywhere in the world. Receive regular updates on specific loads and/or available trailers with Lobina’s supplier network. It’s a great way to tap into transport opportunities that match your needs and preferences, and you’ll be among the first to know about them. Plus, it’s completely free to join. Once we’ve vetted and approved you, you’ll become part of an exclusive community that receives real-time information about suitable loads. Then all you need to do is contact Lobina direct to confirm the finer details and secure the opportunity. Register to receive regular update on specific loads and/or trailers that we have available.